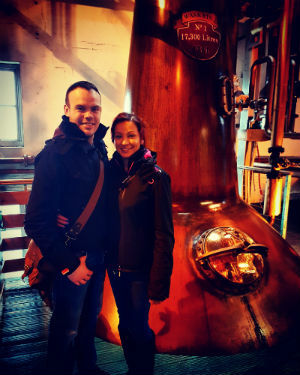 As mentioned in my last post, I spent a couple of days in Campbeltown visiting Springbank Distillery with The Drinks Lady before heading over to Islay for a little get-to-know-you session with Bruichladdich. Actually, it was a bit more than that. The morning after was a bit of a struggle, but made all the more easier by the fact that we were about to tour the distillery with Carl Reavey, Head of Comms at Bruichladdich. Carl was once owner of the Port Charlotte hotel and described in depth just how run down and dilapidated the western shore of Loch Indaal was when he came to the island in the mid-1990s, prior to the remarkable turnaround in fortunes for whisky and the island in general. Looking back, it’s clear how uniquely positioned he was in the history of Islay and Bruichladdich, having become friends with Mark Reynier (more on him later) when the Englishman resurrected the distillery at the turn of the millennium. Before we get to that, though, he talked us through the history of Bruichladdich distillery from its inception in 1881. Built in 1881 by the Harvey brothers, William, John and Robert, Bruichladdich distillery was, from the outset, laden with risk and uncertainty. 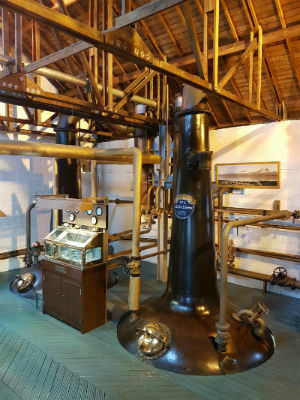 Initially, the three brothers had a gentleman’s agreement whereby they would each run one of the three distilleries in their ownership, the other two being Dundashill distillery and Yoker distillery which were both in Glasgow. However, prior to the completion of Bruichladdich, the brothers had a rather acrimonious family feud which left the fate of the distillery hanging in the balance. The fledgling distillery struggled on for a few years once it opened but closed in 1907, reopened in 1919, closed again in 1929, restarted production in 1935 only to close again once the war broke out. Following WWII, the distillery resumed production as soon as they were legally able to, however it was soon sold to DCL in the mid 1950s before being offloaded to Invergordon Distillers in 1968. 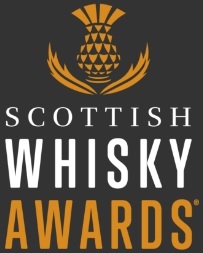 Fast forward to a merger in 1993 and Bruichladdich became part of Whyte & Mackay’s stable. Almost immediately after the acquisition, Bruichladdich was mothballed due it being deemed surplus to requirements. 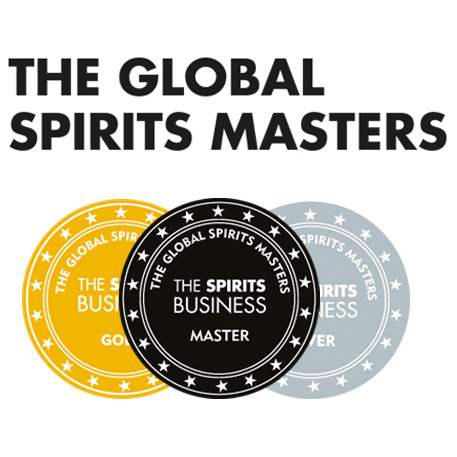 The future looked bleak until a consortium of private investors, spearheaded by London wine merchant Mark Reynier, bought the distillery for £6.5M shortly before Christmas in 2000. 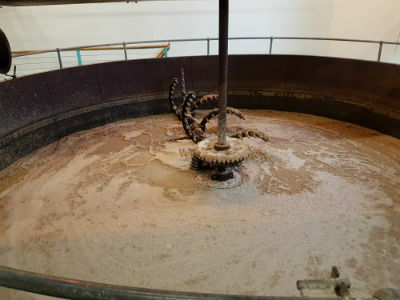 With an almost complete lack of technological upgrades, the Victorian equipment needed 5 months of TLC before distilling commenced once again on May 29th 2001. The early noughties mimicked the first few years after the 1881; it was touch-and-go at times, strategic decisions being made day-by-day rather than year-by-year and a reliance on the pre-1994 liquid seeing them through. That liquid, however, was generally quite poor. Knackered equipment, rough new make, and poor quality casks all led to some rather questionable stock. 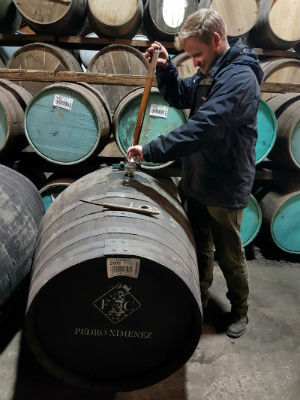 Reynier, being well connected in the wine industry, saw to it that high quality wine casks made their way to Islay in order for them to ‘finish’ the whisky. Whilst waiting for their own spirit to mature, limited edition bottlings were abound, some even resulting from comical episodes including surveillance of the distillery by the US Defence Threat Reduction Agency who thought whisky production at Bruichladdich was a cover up for the manufacturing of weapons of mass destruction. 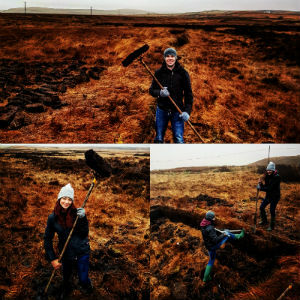 More recently, Bruichladdich have made a name for themselves as Progressive Hebridean Distillers, all the while maintaining a stoic adherence to traditional practices. Indeed, the original cast iron mash tun is still in use, the washbacks are made of Douglas Fir wood, and virtually no computers are used during any part of production. At the same time, their borderline obsession with terroir has seen them experiment with barley regionality of late. In other words, they’re looking into the effect of where the barley is grown, whether it be in the Lothians, Aberdeenshire or the Black Isle. The barley strain is the same, the malting process is the same, and the peating levels are the same – any differences in the new make should, therefore, be down to whereabouts on the mainland the barley was grown. Like I say, obsessive. Possibly the most insightful time was spent wandering the warehouses at Bruichladdich with Head Distiller Adam Hannett, who explained the differences in the spirit between Bruichladdich, Port Charlotte and Octomore. We stumbled upon a couple of casks filled in 1969, which he was more than generous with, however the ABV was well below 40% and so it’s still anyone’s guess as to what is going to happen to them. After another few steps I happened to notice some cool looking sherry butts, but before I could finish my question as to what they were, he’d already popped the bung out and began pouring samples. Little did I know this was the soon to be released Octomore Black Art Concept, available next month. Taking the Octomore philosophy of huge peating levels, and marrying them with the Black Art concept of blending a variety of cask types and ages together to create a multi-layered whisky, Adam first showcased this at Feis Ile 2016. The only thing we know is that the final recipe is married together in ex-Oloroso and ex-Pedro Ximinez casks before bottling. Nose: Thick ashy smoke, flint, polished old leather, tobacco leaf, cloves and faint aniseed are followed by black tea, blackcurrants and dark cherries. Massive. Palate: BBQ embers, car tyres, dark chocolate, dried apricot, currants, brine, unlit cigar and blackberries. It just keeps giving. Finish: Cask stave, long thick peat reek, more of the chocolate and a bit of cigar. Overall: A wonderful distillery to visit, and a truly memorable couple of days on Islay. The fact this distillery is not only in production, but absolutely thriving, is a testament to the determination and perseverance of Reynier and his team in the late 1990s and early 2000s. The takeover by Remy Cointreau a few years ago also seems to have had a positive impact; Carl told us of their keenness to keep things as they are in terms of production, but that they’re not shy when it comes to investing in the distillery and supporting those who make the liquid. I suppose that’s manifested in the excellent Octomore OBA – time honoured methods married with progressive, experimental, forward thinking. To all at Bruichladdich, a huge thanks for hosting us. This entry was posted	on Wednesday, March 22nd, 2017 at 11:25 am	and is filed under Featured, Reviews. You can follow any responses to this entry through the RSS 2.0 feed. Responses are currently closed, but you can trackback from your own site.